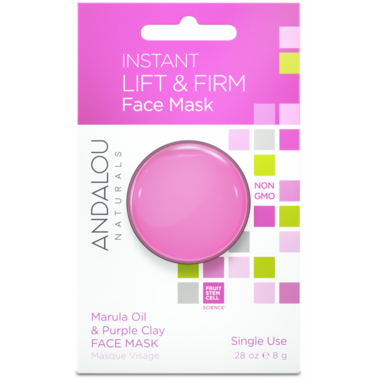 ANDALOU naturals Instant Lift & Firm Clay Mask is made of Fruit Stem Cell Science, Marula Oil, and French Clay that will instantly nourish and purify, stimulating circulation for a visibly lifted and firmer appearance and a smoother, more youthful complexion. I liked it, but it smelled a bit strong for me and made my skin feel a bit tight and uncomfortable for the rest of the day. I really like the results of this mask. It does feel a little tight after application, and it needs a thicker rather than thin layer, but it does firm and smooth the skin.